EPA won’t be giving any short-term relief to embattled glider kit manufacturers. Instead, EPA will try to issue a rule change to Obama-era regulations by late next year. Meanwhile, glider manufacturers have had to lay off hundreds of employees. The Environmental Protection Agency (EPA) will not be providing any near-term relief to manufacturers burdened by Obama-era regulations on glider kits, two sources familiar with the matter told The Daily Caller News Foundation. 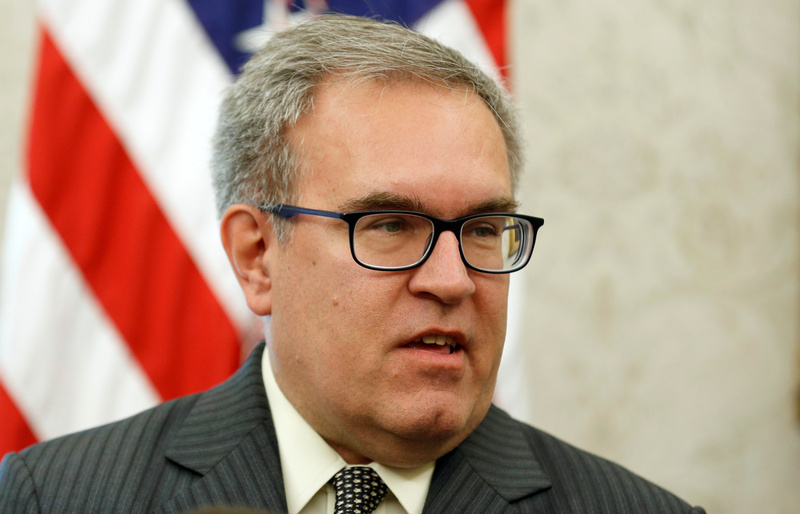 EPA Acting Administrator Andrew Wheeler told EPA staffers Wednesday he would not be granting glider kit manufacturers a compliance extension, one source with knowledge of the meeting told TheDCNF. “EPA is continuing to develop a rule for the glider industry that better balances economic growth alongside continued environmental progress,” EPA spokesman James Hewitt told TheDCNF. Gliders are new truck chassis fitted over refurbished engines, which typically cost less and are more fuel efficient than new trucks. Obama-era rules capped glider kit production at individual companies, meaning some have had to lay off hundreds of workers to decrease their output. Acting Administrator of the Environmental Protection Agency Andrew Wheeler speaks during an event hosted by U.S. President Donald Trump with workers on “Cutting the Red Tape, Unleashing Economic Freedom” in the Oval Office of the White House in Washington, U.S., Oct. 17, 2018. REUTERS/Joshua Roberts. It’s another hurdle in the Trump administration’s plan to keep companies that refurbish used truck engines from having to lay off more workers. Already, major glider manufacturers have laid off hundreds of employees because of Obama-era rules. Glider manufacturer Fitzgerald will be forced to cut production about 90 percent from previous years to meet Obama-era regulations, and the company has already laid off about half its workforce, which numbered more than 700 before regulations went into effect. Indiana Phoenix Inc. and Harrison Truck Centers have also warned of layoffs should regulations continue. Former EPA Administrator Scott Pruitt began working to repeal glider kit regulations after Fitzgerald submitted a petition to the agency in 2017. However, that effort has been hampered by legal setbacks and career bureaucrats resisting the administration’s agenda. 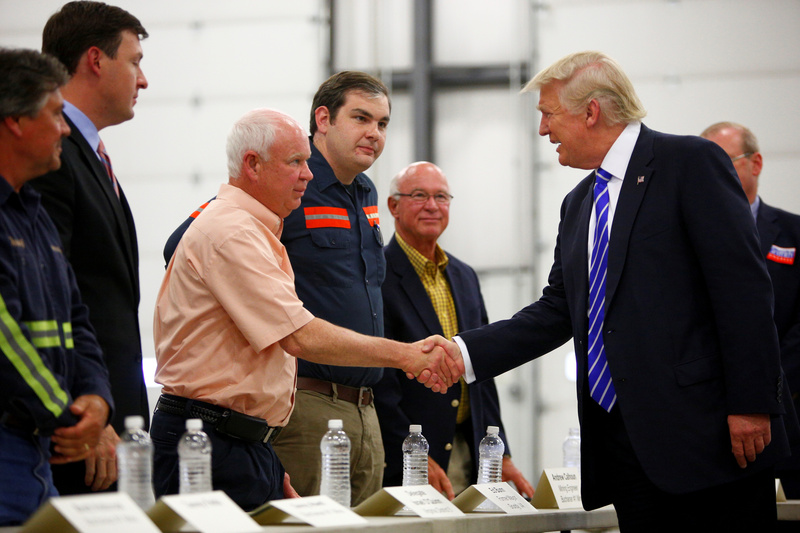 President Donald Trump supported rolling back glider regulations, and as a candidate met with coal miners and glider executives at a Fitzgerald facility in 2016. Republican U.S. presidential nominee Donald Trump attends a coal mining round table discussion at Fitzgerald Peterbilt in Glade Spring, Virginia Aug. 10, 2016. REUTERS/Eric Thayer. Recent court decisions, however, have made EPA more wary of how it goes about rolling back Obama administration regulations, according to a source familiar with the agency’s thinking. In other words, EPA sees pursuing a compliance extension for glider makers as a waste of resources. EPA officials feel the “court has shown the willingness to limit tools under the Trump administration that previous administrations had enjoyed,” the source told TheDCNF. That includes limits on EPA’s discretion in enforcing regulations. EPA’s biggest setback came in July when the D.C. Circuit Court blocked EPA from issuing a “no action assurance” notice on glider regulations. After the decision, Wheeler reversed course and decided to enforce Obama-era glider regulations. “I have concluded that the application of current regulations to the glider industry does not represent the kind of extremely unusual circumstances that support the EPA’s exercise of enforcement discretion,” Wheeler said in a statement at the time. 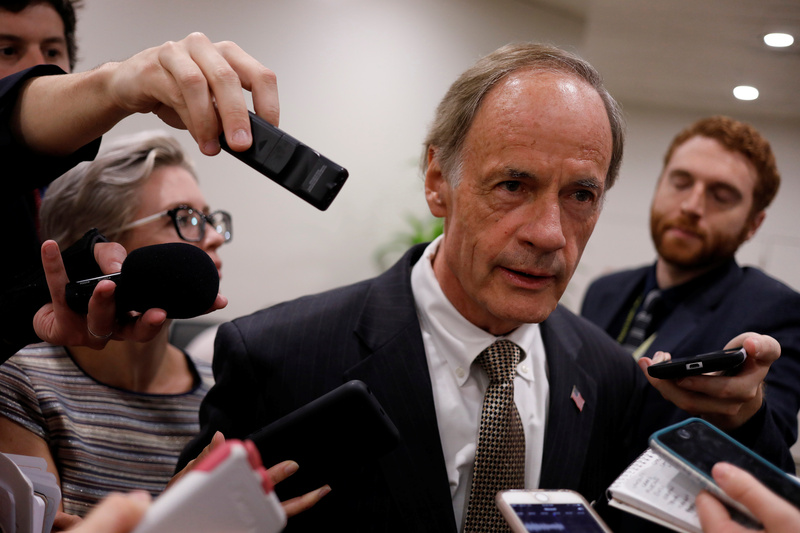 Sen. Tom Carper speaks to reporters ahead of the weekly party luncheons on Capitol Hill in Washington, U.S., Aug. 1, 2017. REUTERS/Aaron P. Bernstein. Democrats praised Wheeler’s decision, including from Delaware Democratic Sen. Tom Carper, the ranking member on the Senate committee responsible for EPA oversight — the Committee on Environment and Public Works (EPW). EPW would also be responsible for confirmation hearings should Trump promote Wheeler from acting administrator to full-time agency head. Wheeler has met with Carper at least twice since taking over EPA in July, according to his public schedule. Democrats, environmentalists and major truck manufacturers, including Volvo, support capping glider kit production.